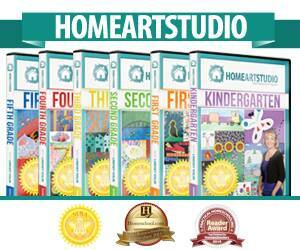 You are the winner of the entire Home Art Studio DVD curriculum...a six volumes! You will be contacted via email and will have 72 hours to respond or your prize will be forfeited and another winner will be randomly selected. own anyone of the Home Art Studio DVDs, be sure to check them out on Facebook or Twitter.